Participating in workshops gains a Certificate of Attendance and meets MTI (Massage Training Institute) /GCMT (The General Council for Massage Therapy) further training requirements. This one-day workshop focuses on developing touch with awareness and sensitivity in a small group learning environment. It is the perfect start for those looking for an introduction to massage and people who may be looking for a massage course for couples. The day is designed for those wishing to use massage safely for friends/family and is also perfect for individuals interested in a career in massage, who want to discover if massage is right for them. Unwind and relax as you give and receive massage and learn why this is such a powerful tool. I am busy focusing on the delivery of other courses at the moment. If you are interested in an introductory massage day, please view details of my colleagues courses in London here. These workshops are available in Central London, easily accessible by train and tube. This workshop addresses the problem that massage practitioners can experience of overusing and straining their fingers, thumbs and/or wrists while using firm and/or deep massage techniques. The ‘hand-saving & hands-free’ approach enables you to learn to apply firm pressure without great effort and without straining your hands. This basic ‘hand-saving & hands-free’ massage workshop introduces you to a set of easy techniques that can be used in different parts of the body. It also covers basic principles that will enable you to work safely with the forearm and elbow – looking after your own body and working with sensitivity. This training aims to prepare you with the skills required to give chair-based massage in any situation or event; from muddy fields to luxury hotels, from back-stage to boardrooms. Whatever the circumstances you will be ready and able to tailor a 10, 20 or 30 minute treatment! The course is comprised of a foundation and an advanced seated massage workshop, case studies and a practical assessment. Insurance is available through Balens and there may be work opportunities following the training. The foundation workshop can be taken alone for CPD with the option to complete the full training within 1 year. Seated Massage is a perfect way to add another dimension to your massage practice and diversify your client base, it is usually performed through clothing without the use of oils, this versatility makes it a perfect treatment for a variety of situations and events. This one-day workshop will prepare you with the skills required to provide chair-based massage and the techniques you learn will be useful in couch treatments too. It can be taken alone as a CPD workshop or extended with the ‘Advanced Workshop’, leading to a certificate of competence in Seated Event Massage. This advanced training day is designed for those who want to develop and master their seated massage repertoire, to become ever more effective in relieving the tensions and restrictions that are commonplace for clients. It is open to all therapists who have completed the Foundation Workshop and a minimum of 10 treatments (case studies). Let me introduce you to the intuitive and magical world of myofascial release. 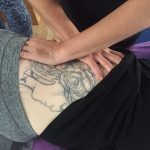 This two-day course is for therapists who wish to gain insight into the fascial system and learn how to apply simple and highly effective MFR techniques in seated and table positions. You will learn some direct and indirect myofascial techniques, including sustained pressure MFR, that can be easily integrated within your current treatments. I also hope to inspire and encourage you to transform your thinking and potency with MFR work. Following this course, therapists will be able to add the techniques learned to their existing repertoire of skills to benefit their clients. These are one-day workshops for those who are qualified in massage or who have taken any previous massage workshops with Sally. 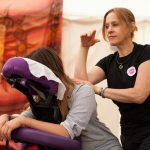 The Massage Practice Days are a valuable opportunity for refreshing and developing your skills; receiving massage yourself, sharing experiences, making new contacts, receiving support, learning new techniques and having some fun. Reiki 1 and 11 are currently taught as one-day courses. Reiki 111 and Master level require a separate application following the completion of the former courses. Each workshop includes theory, practice and attunement to the various levels of energy work and provides students with the understanding, experience and confidence necessary to practice at that given level. This is an FHT accredited course, which is offered as a four-day training course, taught over two separate weekends. 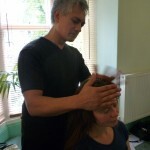 Sally has been involved in teaching Indian Head Massage since training with Mr Mehta in 1995. In the first weekend you will learn the basic techniques and sequences associated with IHM, as well as looking at the history and background of IHM and the relevant anatomy, physiology and pathology, creating solid foundations from which to build further. This weekend can be taken separately and constitutes the Introductory (2-day) Training a CPD certificate of attendance will be issued for those choose not to take their training further. In the second weekend we develop your learning with advanced practices and theory, so that by the end of the course you have the understanding, capability and confidence to work holistically with Eastern and Western techniques when providing IHM treatments for your clients: adapting to circumstances, environments and each individual that you work with. This weekend includes an internally assessed theory and practical assessment. Sally is taking a break from teaching Stone Therapy Massage at present, until her diary has more space. In the meantime, her colleague Dror, at Bodyology Massage School, offers a 2-day course, which students love. If you prefer individual training for advancement of your skills, this can be arranged. This is particularly useful if you want to address something specific in your practice. If you have an interest in any of the above or similar topics for workshops, please get in touch and we will do our best to accommodate your interests in the development of your practice. Sally began teaching massage in 1993 and in 1995 joined the Massage Training Institute (MTI) as a Registered Tutor (Massage, Anatomy, Physiology & Pathology). Sally has gained extensive experience in teaching, running a private practice and working for the following organisations: Bristol College of Massage and Bodywork, Sheffield Centre for Massage Training, South Essex Learning Partnership and Local Schools, The International Academy of Holistic Studies, West London School of Reflex Zone Therapy and South Essex College. She has taught in the UK and abroad and can provide a range of courses to accommodate different levels of interest and ability and can be adapted to suit individuals, couples and small groups. Individual and group supervision can also be arranged.